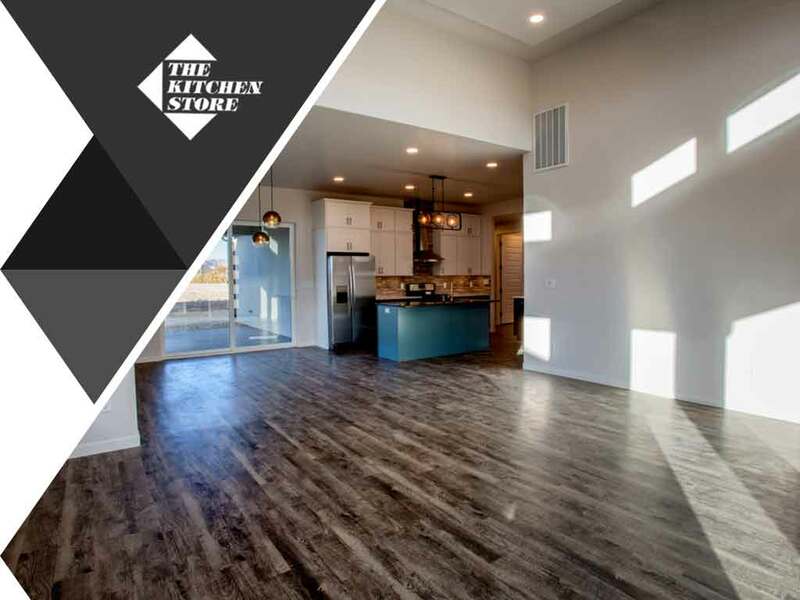 In today’s post, the kitchen remodeling designers of The Kitchen Store discuss kitchen flooring materials known for their durability. Combining unmatched style with incredible resilience, ceramic tiles continue to be the top flooring choice among homeowners. With proper grout and seal, it can withstand any kitchen spill. Its composition—natural clay that is shaped, glazed, and fired under heat—allows it to stand traffic. You can’t run out of design options, as well, because they’re available in a bevy of colors, sizes, and shapes. A staple in traditional kitchen design, hardwood flooring helps enhance the rustic feel of the whole space. Maintenance, however, is of utmost importance. It must be regularly protected against spills and splatters, which may result in stains and gradual degradation of the material over time. Sanding and refinishing the floor using modern sealers and polyurethane finishes, however, make it look brand-new again. Vinyl is likewise one of the best kitchen flooring options. Versatile and easy to install, it tops all the other flooring materials in terms of water resistance. Water can pool on the surface and evaporate without causing damage to the subfloor or the finish. High-quality vinyl flooring comes in various designs, some of which even imitate the look of wood or stone. For custom kitchen cabinetry and other remodeling needs, turn to The Kitchen Store. We can help you choose between modern and traditional cabinet designs to match your flooring and countertops. Give us a call at (310) 736-1077 or fill out our contact form to request a free in-showroom consultation. We serve residents of Culver City, CA.